How to backup favorites or bookmarks in Firefox for mac? Firefox web browser is one of the best browsers for both windows and mac OS, and when you are using it primarily, you would have many favorites or bookmarks in it, which you save while browsing, for future reading and reference. 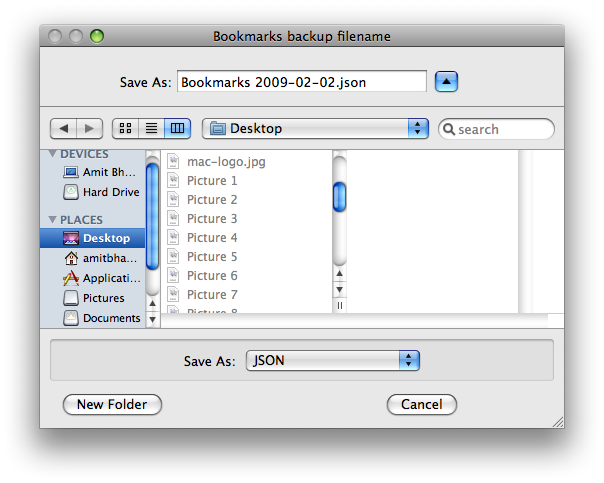 Sometimes firefox can lose data due to some major error in mac OS, so having a backup of the bookmarks is the best option to not lose your data. Go to the Bookmarks section of your Top menu in firefox, and then click on “Organize Bookmarks”. Or you could open (Shift + Option + B) to open the same. And then in the organize bookmarks folder, you will see an option to “Import and Backup” the bookmarks, open that and select “Backup”. When you click on the backup option, you would then see the file being saved in .json version and you have to specify the destination folder where you want to save the backup. Select and you are done.